Marvin Dorwart Cone – Crystal Bridges Museum of American Art 2012.502. Title: Stone City Landscape. Date: 1936. Materials: oil on canvas. Dimensions: 61 x 76.2 cm. Inscriptions: MARVIN CONE (lower Left. Nr. : 2012.502. 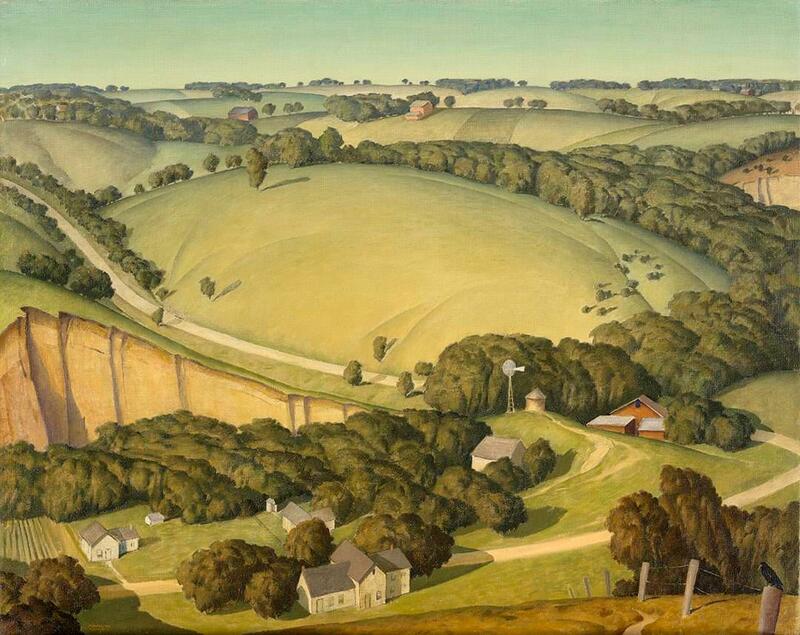 Source: https://collection.crystalbridges.org/objects/4003/stone-city-landscape?ctx=5ba1eb7b-bc26-41cf-9b8b-e8b53c430262&idx=0. I have changed the light and contrast of the original photo. William Trost Richards – Crystal Bridges Museum of American Art 2008.4. Title: Landscape. Date: c. 1863-1864. Materials: oil on canvas. Dimensions: 59.7 x 85.1 cm. Nr. : 2008.4. 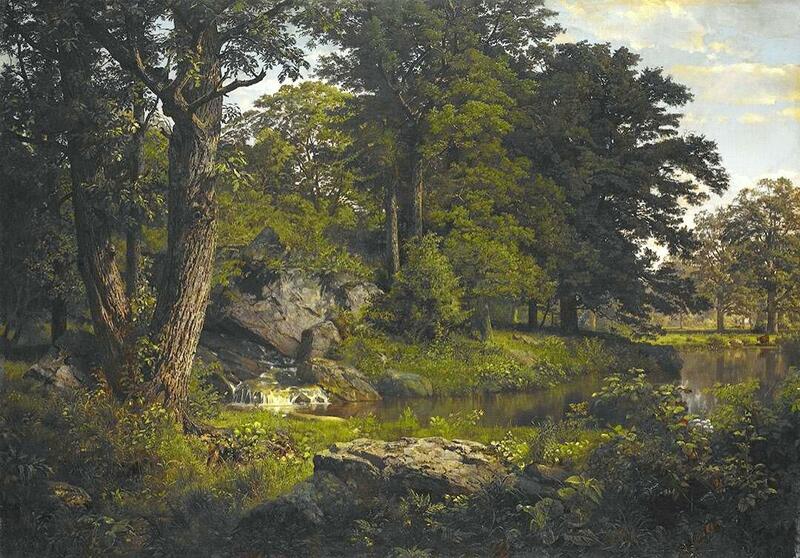 Source: http://collection.crystalbridges.org/objects/698/landscape?ctx=dc861885-527b-4f69-b62c-9fb2c881b9b8&idx=1. I have changed the light, contrast and colors of the original photo. Frederic Edwin Church – Crystal Bridges Museum of American Art 2008.16. Title: Home by the Lake. Date: 1852. Materials: oil on canvas. Dimensions: 81 x 122.6 cm. Nr. : 2008.16. 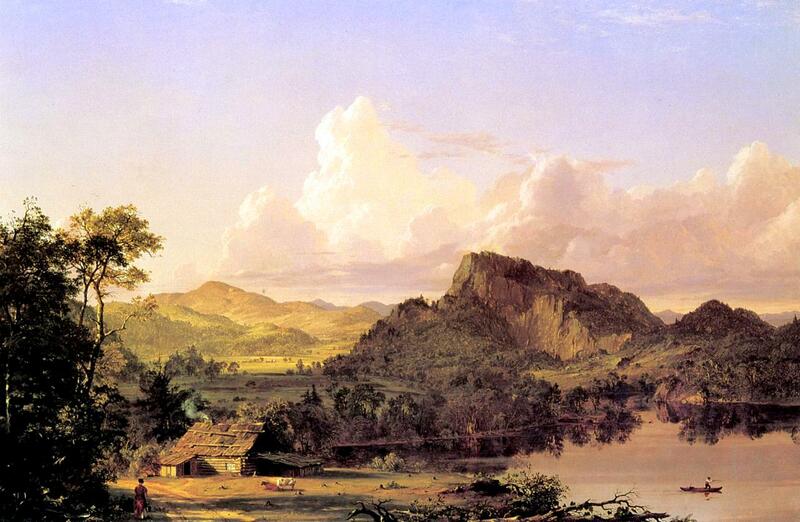 Source: https://en.wikipedia.org/wiki/File:Home_by_the_Lake_Frederic_Edwin_Church.jpg. I have changed the light, contrast and colors of the original photo.